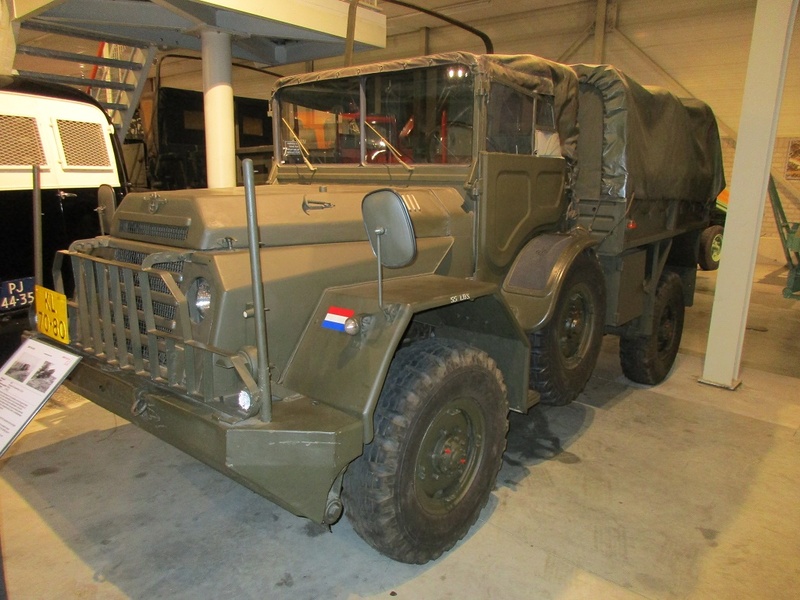 Since the thirties DAF has built an amazing variety of military vehicles for the Dutch Army. From a simple single axle trailer to the 530 hp DAF TROPCO 6×6 tank transporter with a payload capacity of 65,000 kg. There’s enough to fill the entire museum in Eindhoven. 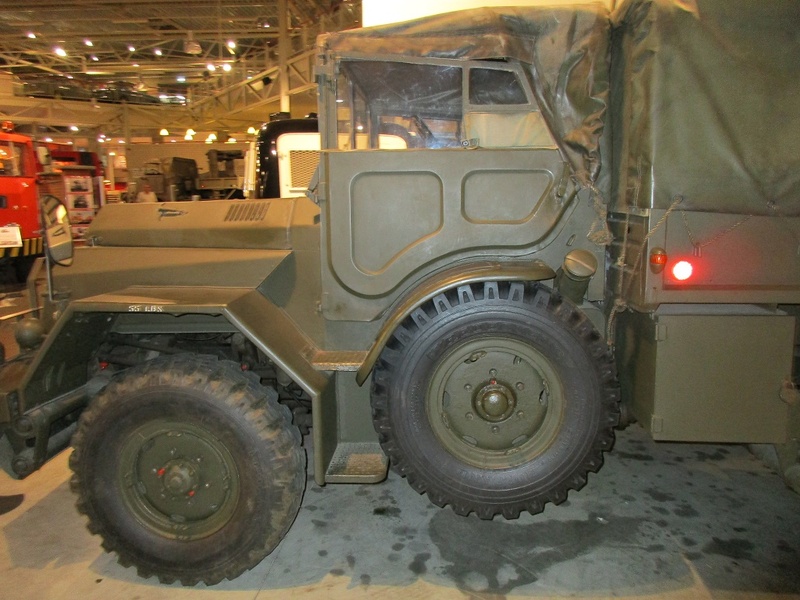 Two major classic military DAF designs are the Trado from the thirties and its evolution into the H-drive drivetrain after the Second World War. In short, the original Trado was a modification to turn a 4×2 on-road truck into a very capable 6×4 off-roader. Its development started in 1934, mainly Ford and Chevrolet trucks were used to get the Trado conversion. Later on a set to drive the front wheels was also developed. Thus, after a full Trado-treatment, a humble 4×2 truck became a capable 6×6 artillery tractor. The left side of the Trado in the museum. 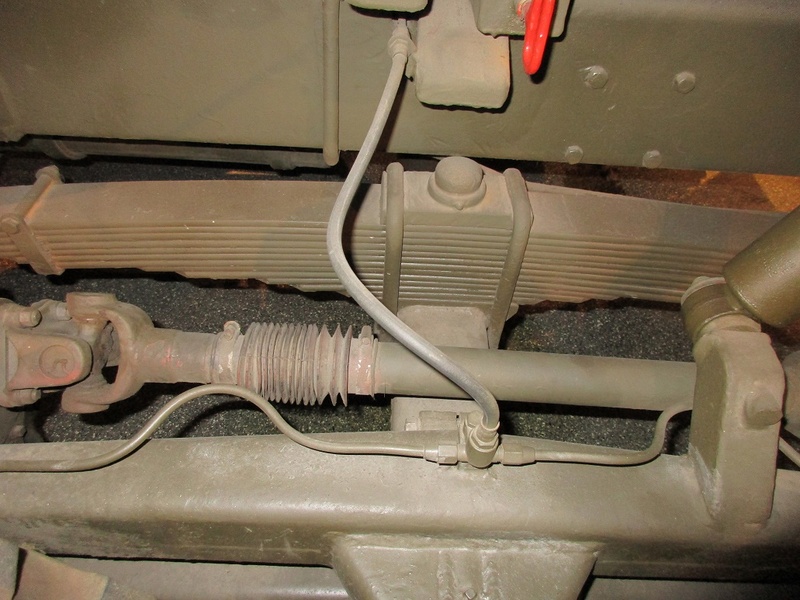 Another device was a PTO driven winch/tow hitch-combination, it can be seen in both Trado pictures. 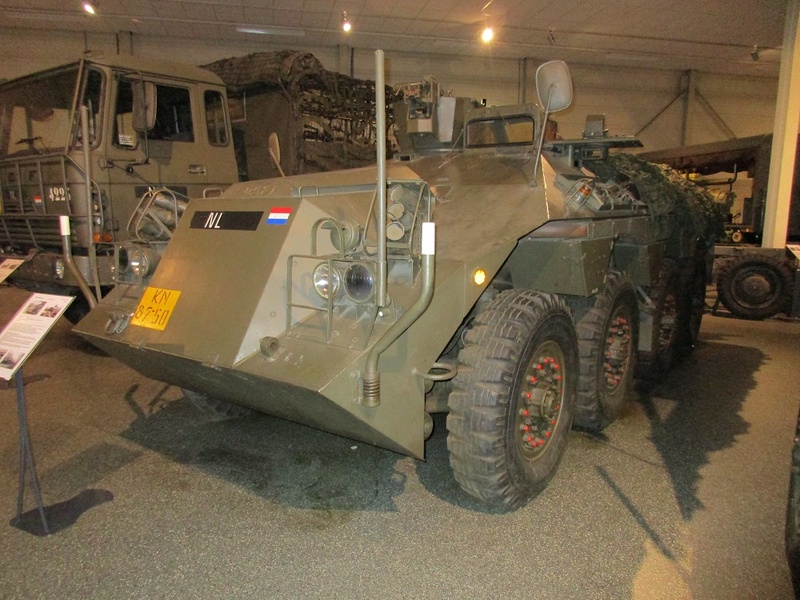 A few years after the Second World War, the Dutch Ministry of Defence wanted to modernize and standardize the military equipment. 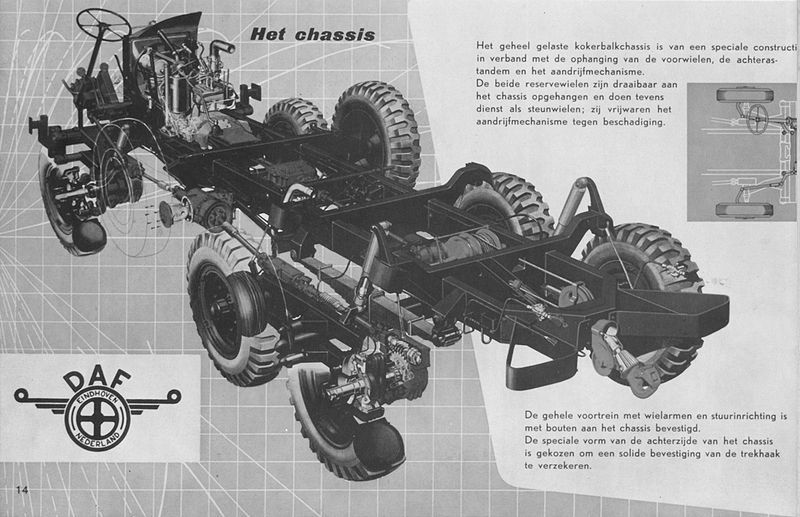 In 1950 DAF was ordered to develop a new artillery tractor. 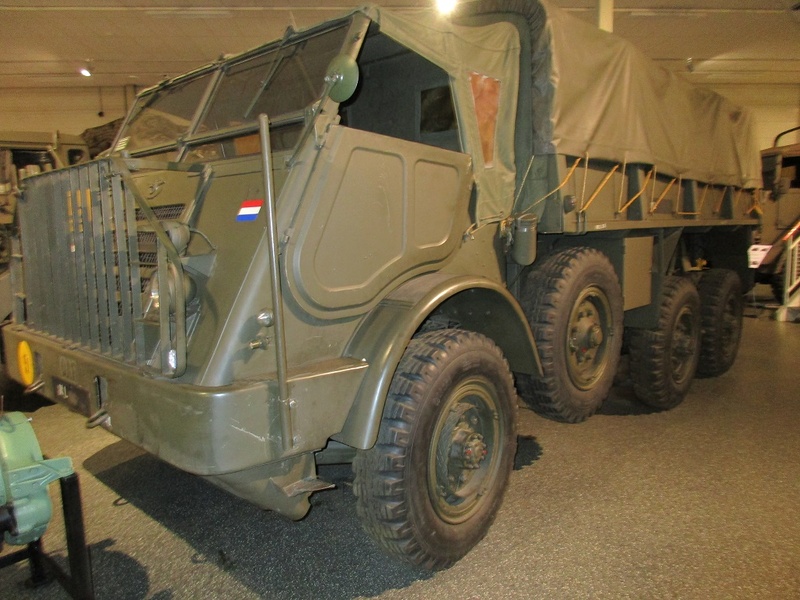 A year later Hub van Doorne and his crew came up with the prototype of a 6×6 tractor, called the YA 318, ready to be tested. Powered by a Hercules JXC gasoline engine, with a 4-speed Warner transmission. Thanks to its H-drive drivetrain the truck had extraordinary off-road capabilities. Arguably it was years ahead of any contemporary competitor. 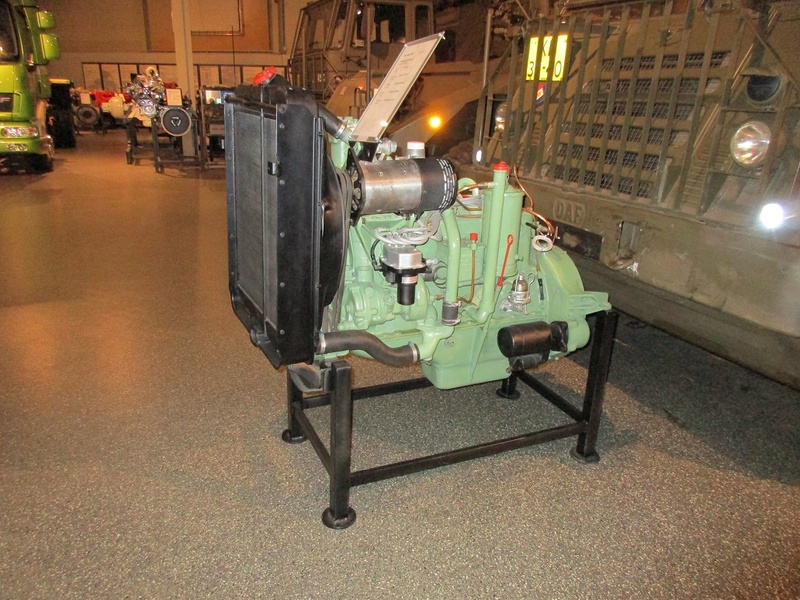 The YA 318 evolved into the more powerful YA 328, as exhibited in the museum, with a 132 hp Hercules JXLD gasoline engine and a 5-speed ZF constant mesh transmission. 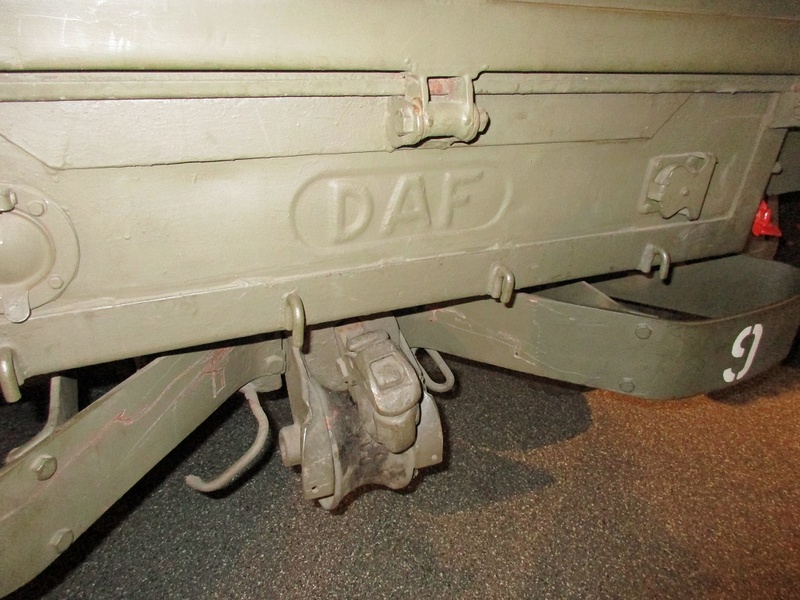 The most renowned DAF military truck was born, nicknamed “Dikke DAF” (Husky DAF) by the soldiers. The spare wheels, one on each side, can roll freely on (very) rough terrain, in which case they also function as supporting wheels. 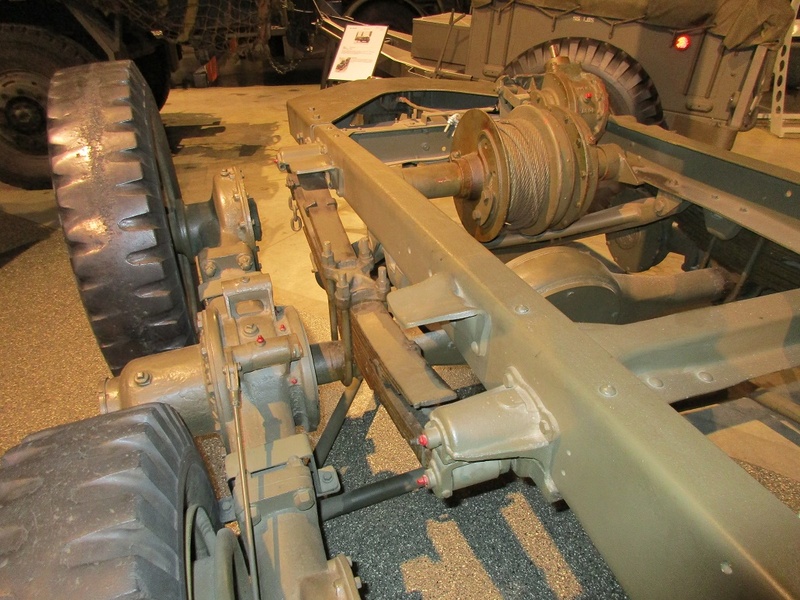 Inbetween the rear wheels of the YA 328; all components parallel to and on the outside of the frame rails. The rear side of the YA 328, with the winch/tow hitch-combination. To be operated by the truck’s driver. Original DAF drawing of the YA 328 chassis. …called a “Van Doorne Speciaal”. Developed along with the big artillery tractors was this smaller YA 126 4×4. 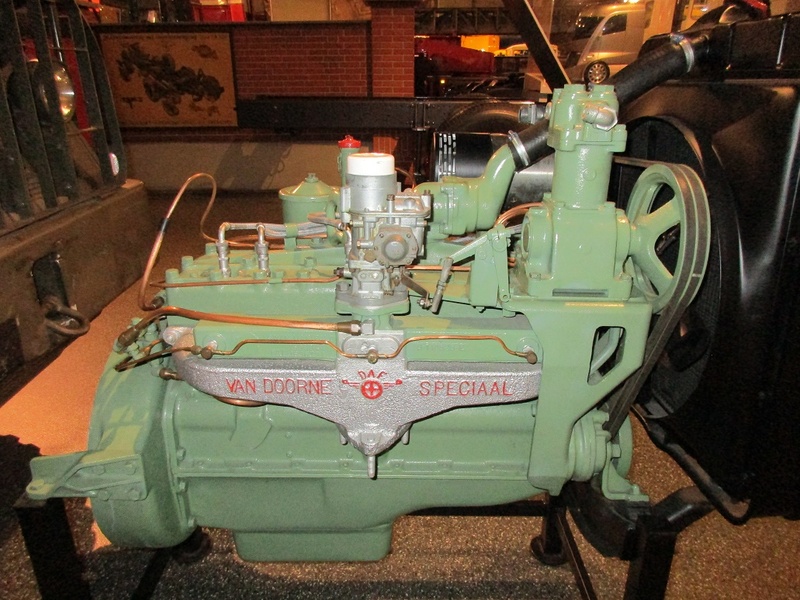 It was the successor of the Dodge WC51. Under its hood a Hercules JXC engine, the transmission is a 4-speed Warner. Just like its big brother it also has an H-drive drivetrain. Free rolling spare and supporting wheels on both sides. The soldiers called this the “Wep”. Short for weaponcarrier. If you enlarge the picture you can have a closer look at the old DAF chassis drawing of the YA 126. 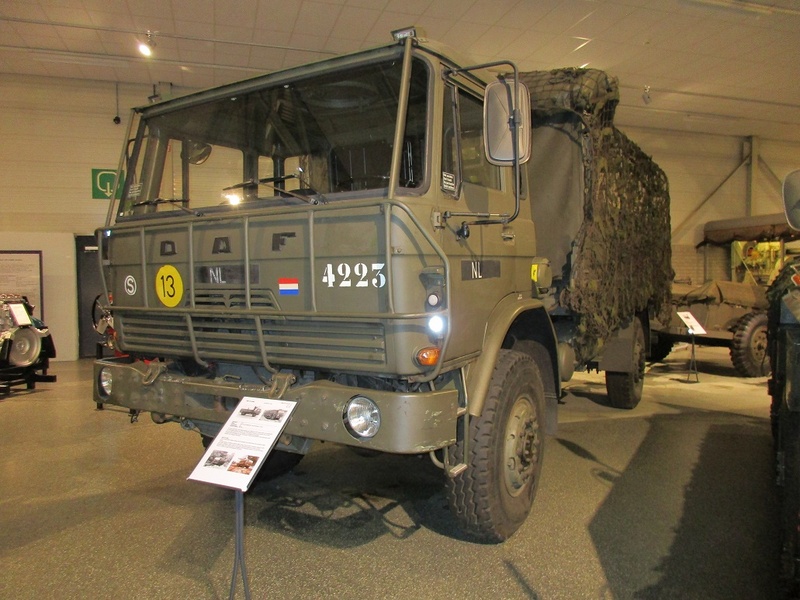 The DAF YA 314 4×4 truck, and the later updated YA 324, would become the standard truck for the Dutch Army for many years to come. The YA 314 was introduced in the mid-fifties. And then there’s this mastodon, a 1967 YA 616 with a 204 hp Continental R6602 gasoline engine. 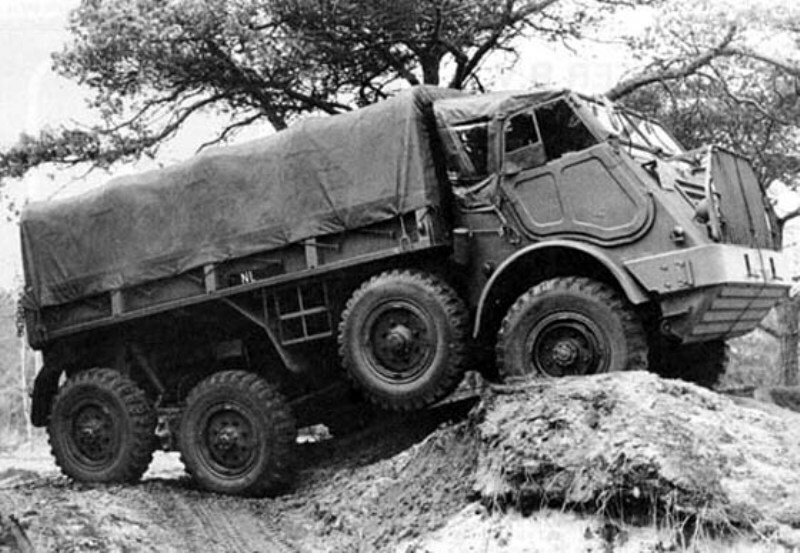 The heavy artillery tractor YA 616 was introduced in the late fifties. 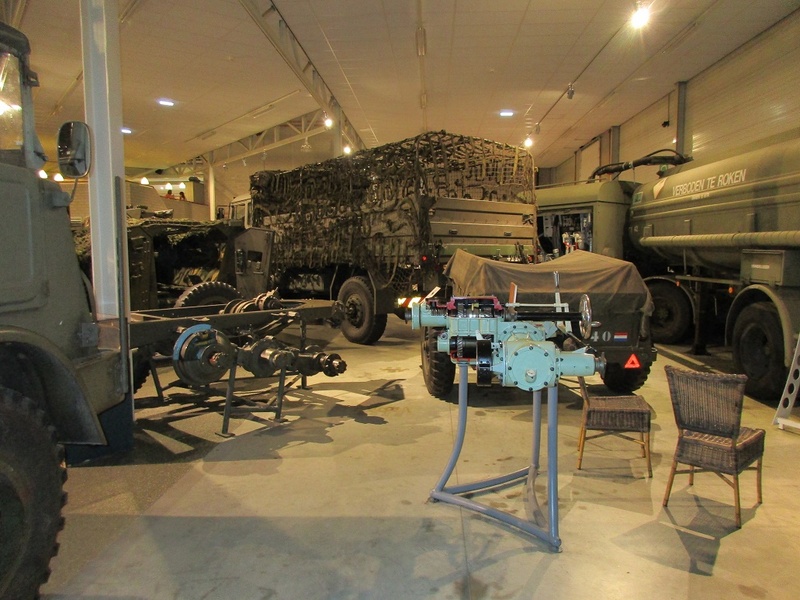 The one in the museum has a Hulo crane for loading and unloading ammunition. The standard “civil” Hulo crane was used to load and unload bricks. The DAF YP 408 is an 8×6 armored personnel carrier (APC). Its series production started in 1963. 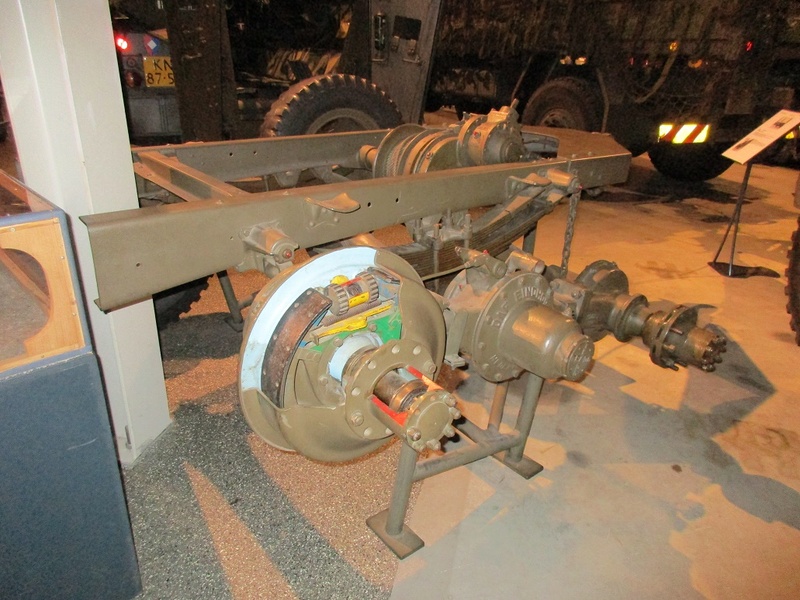 The H-drive drivetrain was derived from the YA 328 truck. The prototypes and pre-series were powered by a Hercules gasoline engine, the production version got a 165 hp DAF DS 575 turbo diesel. Ten seats in the back, two in the front. 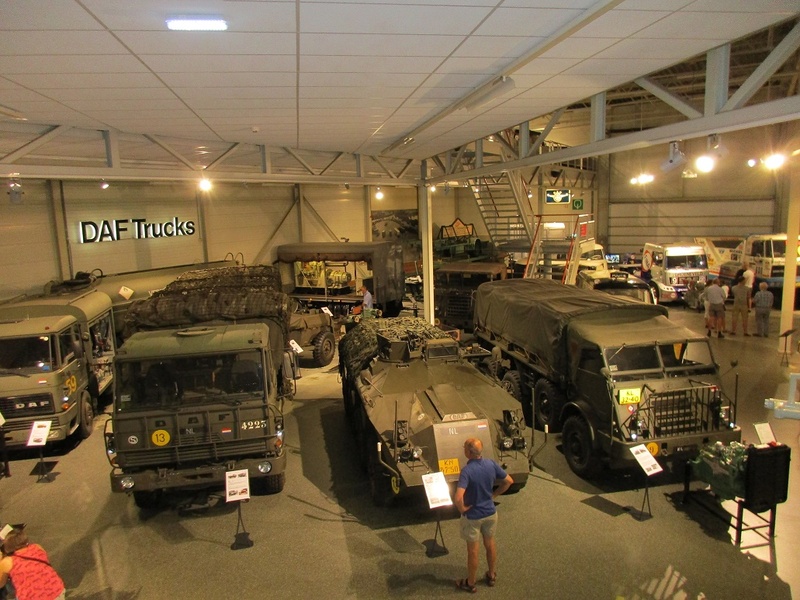 Of course DAF also built complete trailers and semi-trailers for the armed forces. This is a fuel tanker for aircrafts. “Verboden te roken” means forbidden to smoke. 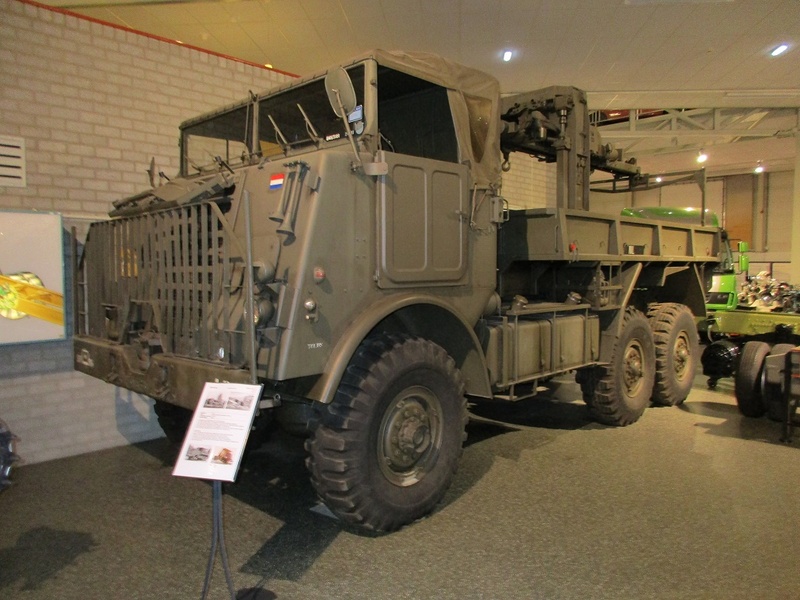 The standard military 4×4 truck from the late seventies onwards, the YA 4440. Under its tilt cab DAF’s 153 hp DT 615 turbo diesel, with a 5-speed transmission. The comparable YA 4442 has a more powerful DAF engine, a 6-speed transmission and a rear axle with dual tires. Very nice. During our month long trip to the Netherlands in 1979 I was surprised at the amount of military equipment we saw on the road, which was very interesting to 12 year old me. I almost never saw any back home in Ontario. One other thing, I can’t recall seeing a lot of rough terrain there. Is the 6X6 traction required for dragging an artillery gun through a muddy polder? Less surprisingly, I saw lots of military activity while visiting Germany during the Cold War ’80s. They’ve had to put up with tracked vehicles milling around in their towns, unlike most Americans. There’s probably a hefty property- damage bill after exercises. The Fulda Gap was believed to be the prime target of Soviet armor. Somewhere I have a pic of Leopard 2s on flatcars. I was in an Army National Guard armor battalion for most of the 1980’s. Nearly all of our training was geared towards the scenario of the Warsaw Pact forces attacking through the Fulda Gap. Fortunately this never came to any kind of fruition. I don’t really remember how all of our tanks and other equipment was supposed to have been shipped to Europe; magic hand waving most likely. 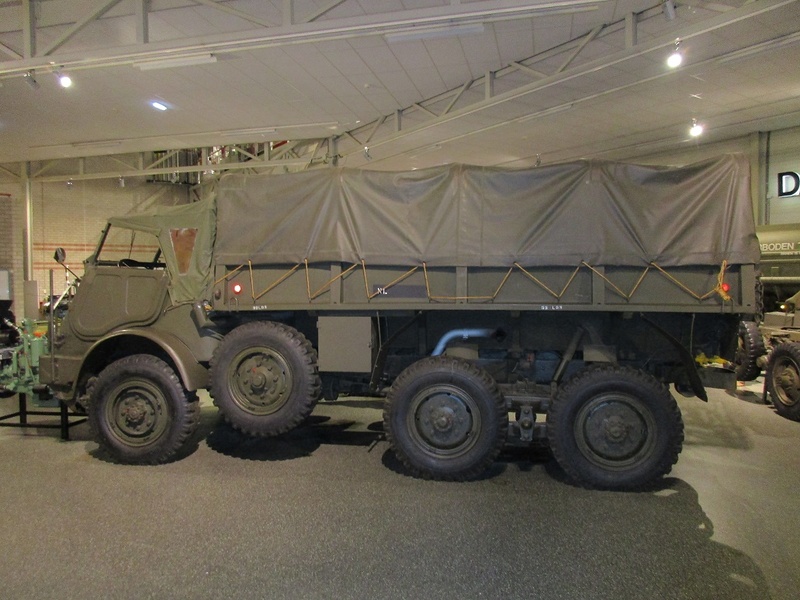 In regards to DougD’s comment, tactical military vehicles (like the ones in the museum) have been all wheel drive for many years. The additional traction is useful not only for mud and snow but also comes in handy for dealing with heavy loads. The general rule of thumb when loading these trucks is that if it will fit, its good to go. I have seen trucks with a nominal load capacity of 5000 pounds carry 10-12000 pounds of cargo without any real trouble. Yep even those old 6x6s from WW2 we used here for logging are good for at least 6 tons, they were by far the best military vehicle to come out of the ‘States. Agree, I suspect there was a lot of wishful thinking in NATO planning. All spec load ratings mean is, that’s what the manufacturer guarantees under contract; it implies nothing about ultimate capacity, which is “engineering margin.” E.g., there’s a story of a DC-3 evacuating about 70 refugees, about twice its rated capacity. Not magic hand waving, but if all lines of conventional defense failed during an all-out attack, the answer was the use of tactical nukes. After that, everyone’s worries would be over. Leave the pavement with a big truck and you’re lost without decent AWD traction. You don’t hit “rock bottom” first, that’s for sure. That’s why 4×4, 6×6, 8×8 and 10×8 (non-military) trucks are very common and widespread. With super singles on the front steering axle(s). I always suspected you had it in you Dutchy. Good for you. How about some Gatsos next time round. I bet you know what Maus bestowed on the unsuspecting public later on in life. YA 328 completely slipped my mind, I think I’m in love all over again. That’s a fine piece of machinery right there. You know your stuff, keep em coming. Thanks. Both the YA 126 and YA 328 have reached cult-status by now. Owned and driven by DAF enthusiasts. Luckily plenty of them are still around. Here’s a nice video of a 328 playing in the sandbox. The YP408 looks interesting to me. So many nato apc’s were tracked like the USA M113 or the German Marder, but the Soviets also had a wheeled BTR 60 that looks much like the YP08 and was heavily exported to their client states. With all the reclaimed land, I can understand the wheeled vehicles. In the event the cold war turned hot though, wasn’t the Dutch Army supposed to head into Germany? 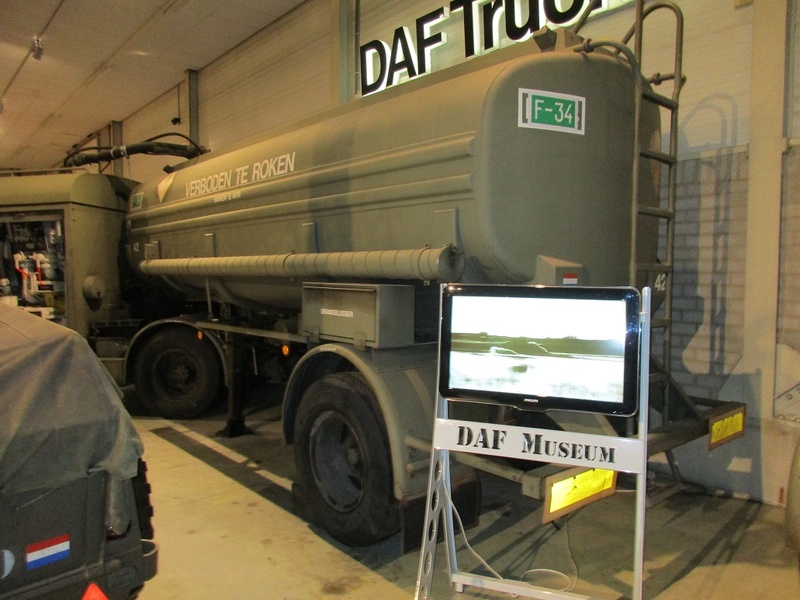 Thanks for showing us this part of the DAF museum. I look forward to the cars as well. 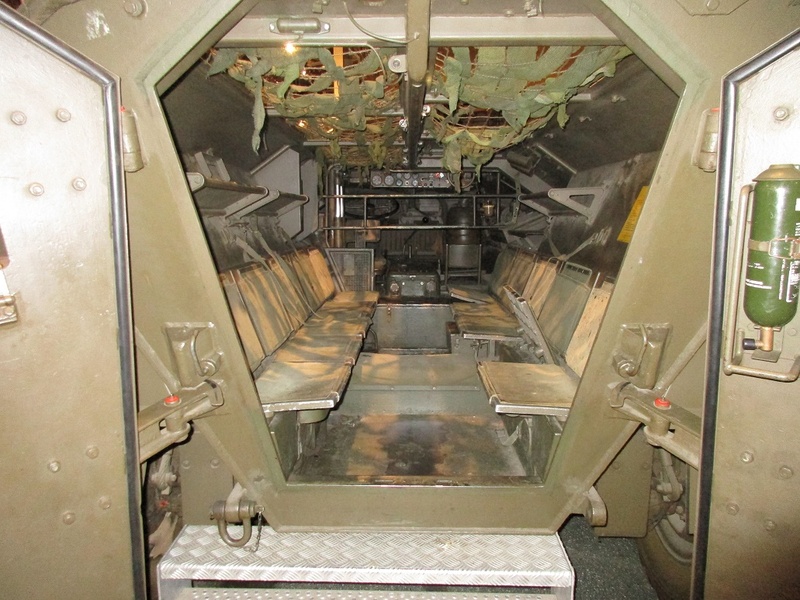 The US now has the M1126 Stryker wheeled APC, reflecting post Cold War armored doctrine. Great tour! And “H-Drive” is a new one for me; I was vaguely aware of its existence, but not the details. The Trado conversion is rather brilliant. Well, Hub van Doorne was rather brilliant too. He was a very talented “natural-born” engineer and inventor. When he retired in 1965, he had more than 100 patents registered on his name. Best known are the Variomatic and H-drive, but something like the 5th wheel semi-trailer coupling is also a Van Doorne invention from the thirties. I can recommend “A DUTCH TREAT…a tale of DAF cars & trucks” by Johannes (Hans) de Bruin. But let’s not forget Wim van Doorne, Hub’s brother. Wim was the businessman, who took care of the commercial and administrative side of the company. So together they were the perfect couple to lead and expand the DAF company. I’ve heard of DAF, but I’ve never seen one. Excellent that H drive is quite brilliant a fully independant version of a walking beam setup it sure works well off road I fell down the youtube rabbit hole ended up watching Pinzgauers which our military uses, great tour Johannes bring on the cars though I had a good look underneath a belt driven DAF at Southwards museum once they had one over a inspection pit. Yep…6×6 traction on tap ! Nicely written, i got my commercial drivers license on a YA4440 in 1986….. So did my brother…just a few years later. 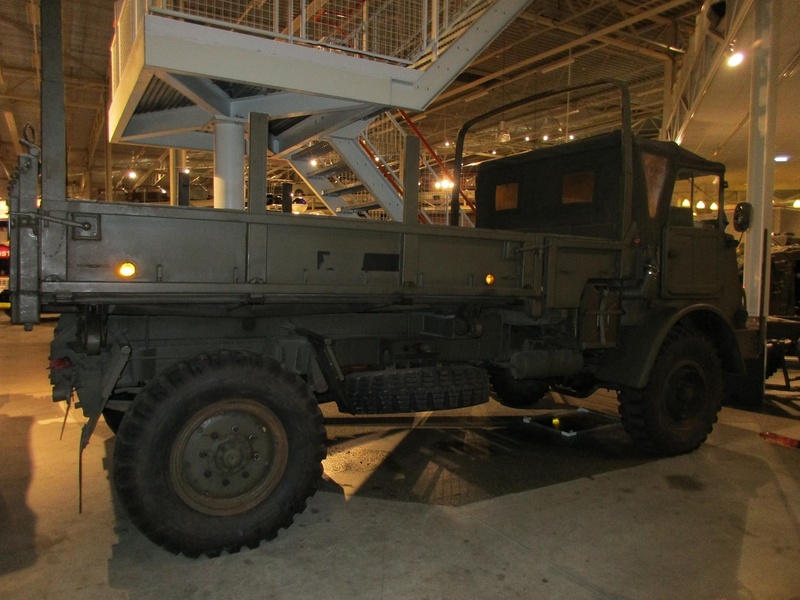 Great post – have a fondness for military vehicles – drove pretty much everything up to a 5-ton M-939 during my military career – would sure like to make it to this museum some day. 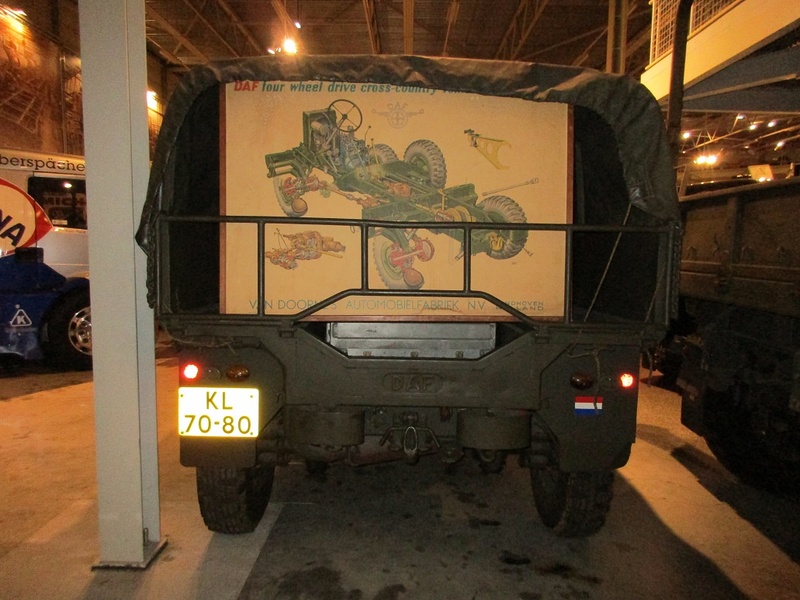 What is it about old Military vehicles that brings out the kid in men ? . I’m lucky in that 50 + years ago , war surplus trucks and cars were below dirt cheap so farms and poor folks had them in droves . My first truck was a $50 ’59 Ford F-100 step side from ayers AFB , we also had a $25 , ’52 Willys M38A1 Jeep from Fort Devins that was not only rust free but evewn had perfect paint and upholstery ~ I believe it had been parked indoors it’s entire life until we got it . A Kalamazoo speed Truck , on and on….